We begin today’s Weekly Roundup in the FT, where John Authers has been looking at the smoke signals from the market. The first is that low interest rates have driven stock markets up (especially in the US) and would keep them up. Yet when the Fed decided not to raise rates, global stocks sold off. The reasons behind the “good news” were more important, and this was backed up by the weak US job growth numbers on Friday. The stock market went down again and 10-yr Treasury bond yields fell below 2%. The market now expects the rate rise to be in March 2016. More importantly, the market no longer believes that monetary policy can fix the economy. The second assumption being challenged is the continuing economic miracle in China. Growth has slowed and the government has made mistakes in the stock market and with the currency devaluation. A slowing Asia might easily export deflation to the west (see commodity prices, especially metals). The third assumption is continued growth in US corporate profits, supported by the cheap money and lots of share buy-backs.1 But growth has now ended. 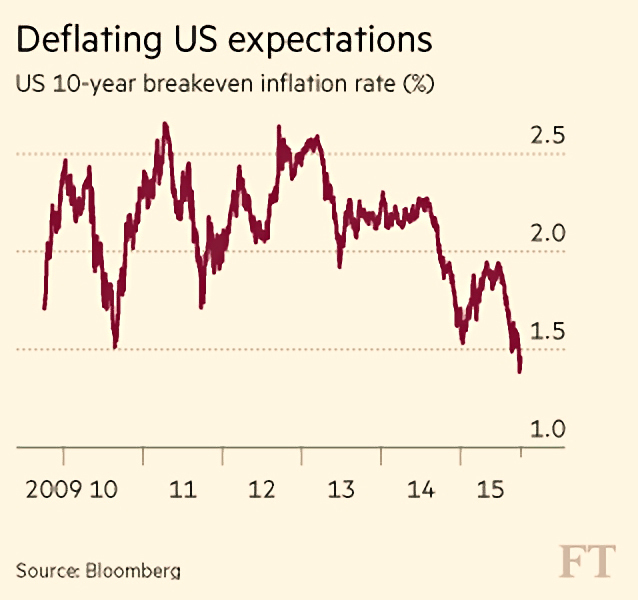 Deflation would make it even harder for profits to grow (since prices can’t easily be raised). 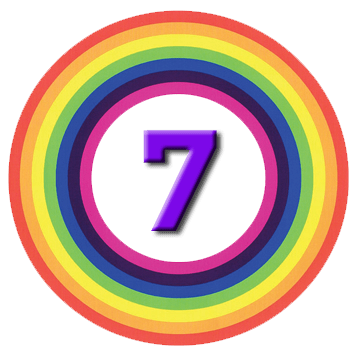 John thinks there is a risk of some “kitchen sink” numbers2 in the next quarter. John is also concerned that sentiment amongst money managers has not capitulated. Many think the dollar will rise and corporate earnings will continue to grow. This lack of revulsion makes a sustained recovery less likely, and John is braced for more market falls. 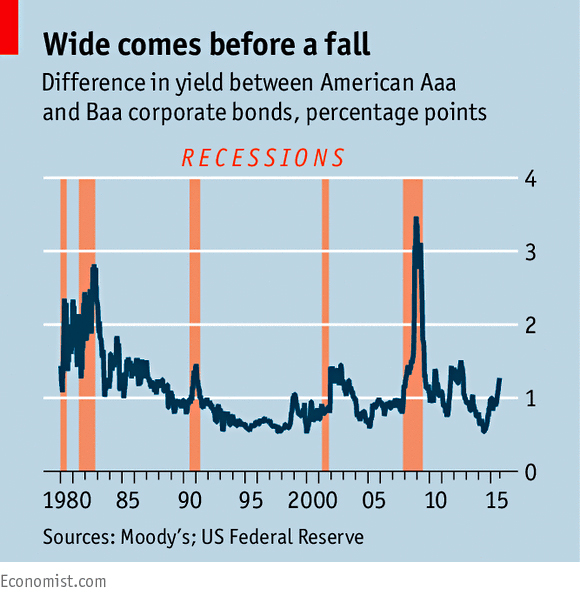 Over in the Economist, Buttonwood also looked at market signals, focusing on rising credit spreads. The gap between the interest rates paid by governments and blue chips and those paid by riskier borrowers – which reflect the risk of default – are rising. So investors are more worried that they might not be repaid. Historically, rising spreads are linked with recession, though a rise in 2012 was not followed by a downturn. And defaults themselves are not rising. The junk default rate is 2.3% to August, below the historical average of 4.5%. More bonds are now classed “distressed”3 – up to 15.7%, a four-year high. Bond investors are also worried about the high level of corporate dept in the slowing emerging market economies – up by 26% of GDP over the 10 years to 2014. Buttonwood points out the natural tendency of debt to exacerbate booms and busts – credit growth on the way up inflates asset prices, proving more collateral to borrow against. On the way down, it becomes much harder to borrow. The article also notes that central banks are now net sellers of assets (despite the ECB and Bank of Japan still buying). This has implications for the levels of support financial markets have received since the 2008 crisis. In a separate article, the Economist looked at the slowdown in Asian economies in more detail. Exports and growth are falling and currencies have weakened. Corporate and household debts are rising. 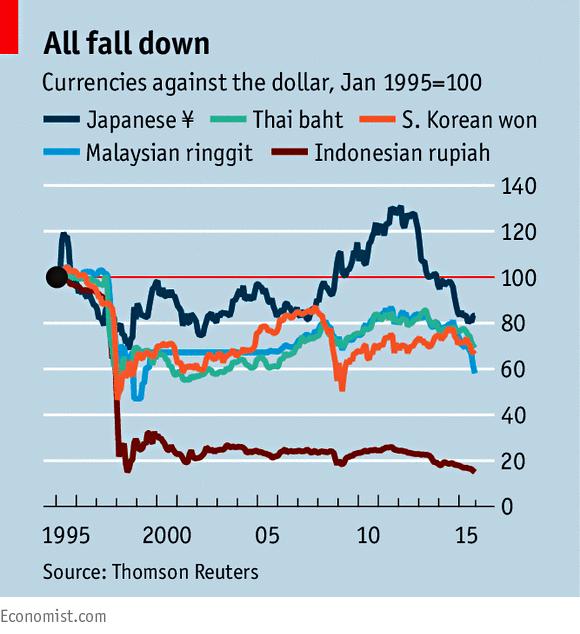 Asian economies are export driven, and exports are falling, the impact exacerbated by the weakened currencies. The main reason for all this is not just that China’s economic growth is slowing, but that the economy is changing from one driven by investment to one reliant on consumption. This means fewer commodity imports, and more goods made in China. There are high-end imports from Japan and South Korea, but this is bad news for Malaysia and Indonesia. China is also out-competing other Asian exporters to the rest of the world (it now has a 14.3% share globally). The slowdown is worrying because of the high levels of Asian debt (now up to 200% of GDP), but a repeat of the 1997-98 crisis is not likely. Fixed exchange rates, small FX reserves and a wall of speculative money were all factors then, but not now. Much more debt is now issued in local currencies rather than dollars. Judith Evans reported that dividend cover (profits to dividends) amongst the FTSE-350 companies is now at its lowest level for six years. Cover is down to 1.2 times, the lowest since 3Q2009 when it was at 0.7. This is largely down to companies maintaining their dividends as profit margins are squeezed. But for how much longer? 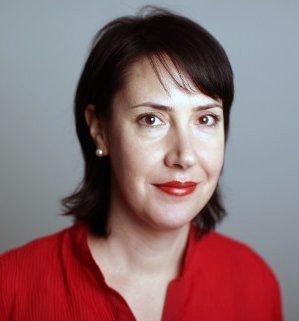 Josephine Cumbo wrote about the Financial Conduct Authority (FCA) taking action to stop people withdrawing cash from their pension pots to put into risky investments. 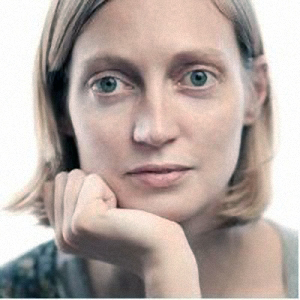 At the moment, “non-mainstream” investments can only be marketed to “sophisticated” or “high net worth” investors. In practice this means an income of £100K or investable assets of more than £250K. The FCA wants to prevent investors from using pension cash to reach the £250K limit, and plans to have cash withdrawals “expressly excluded” from the high net worth test. Over in the Economist, Schumpeter looked at the drivers of the recent anti-capitalism movements. Greece and Spain have new left-wing parties and in the UK, Jeremy Corbyn has been elected leader of the Opposition. In the US, Bernie Sanders is doing well in the race for the Democratic presidential nomination. Schumpeter also includes the Pope’s criticisms of the market. The left-wing logic is that people have twigged that big companies are rent-seeking monopolies, lobbying politicians for tax breaks. Executive pay is large and not tied to success (Martin Winterkorn is leaving VW with €60m). Defenders of the markets separate corporatism and capitalism. To them, the best answer to “bad capitalism” is “good capitalism” (competition and innovation). The average tenure in the Fortune 500 list has fallen from 70 years in the 1930s to about 15 years today. 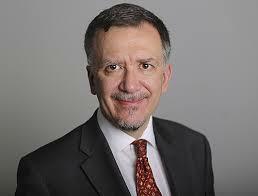 The career of a CEO has shrunk from 10 years in 2000 to 5 five years now. The rapid change needed to avoid becoming the next AOL or Nokia makes these firms ruthless and often inhospitable. People want stability and jobs. They often overlook the fruits of creative destruction (smartphones, the internet, Uber, Airbnb, MOOCs etc). Instead they see a sinking ship with all the lifeboats full of first-class passengers. And the anti-capitalists can also leverage the new tools: witness the coronation of Corbyn by young people energised through social networks. The newspaper also looked at the arguments for motor-industry consolidation in the wake of the VW emissions scandal. The bill to repair the damage, plus the fines, will run into the tens of billions of dollars. There may be executive prosecutions. For the rest of the industry, tests will be tightened to better measure real-world performance. The biggest impact will be in Europe, where half of car sales are diesels. The problem is that diesels are CO2 efficient, and the limit of 130 g/km (averaged across all new cars) will drop to 95 g/km in 2021. And the industry is already suffering from the China slowdown, since this is the world’s largest market for new cars. The government has cut sales tax on small cars in response. Sales in the US and the UK are at the highs, but may not grow much further, and the European recovery has stalled. The industry now has overcapacity, which will increase as new production lines in China come on stream. In addition, firms like Tesla, Google and Apple plan to enter the market as vehicles (perhaps) evolve from manual and combustion engine to automated and electric. its cost of capital. Firms insist on massive R&D to develop proprietary solutions – unnoticeable to drivers – to generic problems. Mergers seem like the obvious answer, but only Fiat Chrysler (targeting GM) is openly in favour. Nor is there a track record of success – Daimler / Chrysler, BMW /Rover and Ford’s management of Volvo / Jaguar / Land Rover / Aston Martin were not successful. Internal cultures seem hard to merge. 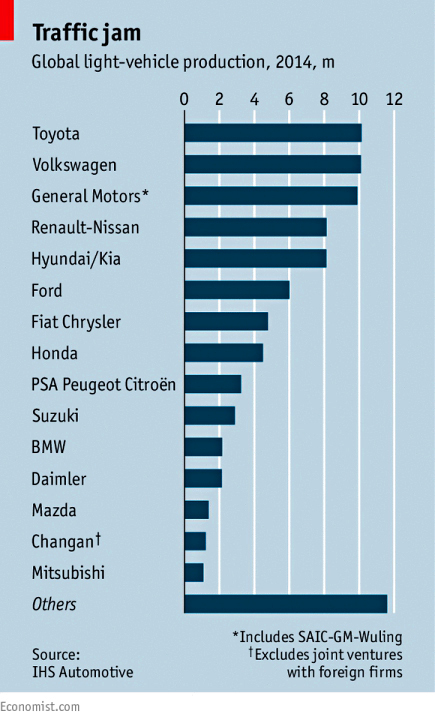 Fiat / Chrysler and Renault / Nissan are the exceptions, perhaps because they operates on a regional basis (eg. Fiat in Europe, Chrysler in the US). On top of this, governments, unions and major shareholders oppose mergers. France’s government has stakes in Renault and Peugeot / Citroën. BMW, Fiat, Ford, Honda, Tata and VW all have strong ties with founding families. The Economist also had one of its regular tilts at raising property taxes. This week’s article compared the existing regimes in London and New York, to find a blended system with the best of both. I’m not in favour of property taxes, or of asset taxes of any kind. I own property, and it was bought with money that I already paid tax on. Asset taxes penalise the prudent over the reckless. There is an argument against taxing income from work too heavily, but few would argue against the kind of progressive income tax we have today. Similarly, consumption taxes (VAT, tax on fags and booze) seem fine to me. If tax reform is the priority,4 a much better target would be the tax break on debt interest. This privileges debt over equity, to everybody’s detriment in the long-run. 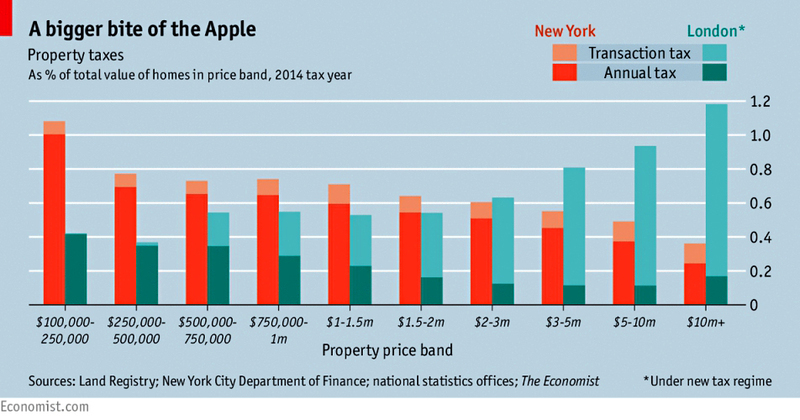 But the Economist likes property taxes, for the dubious reason that they are difficult to avoid. They would prefer a land tax, but since property taxes already exist, they are politically more expedient. 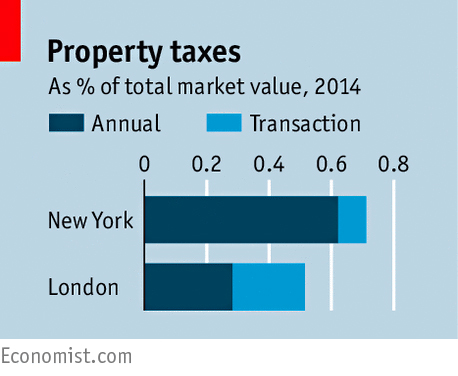 At present, New York raises 40% more in tax (as a proportion of house values) than London – 0.7% against 0.5%. New York also raises 90% of its tax in annual levies on the value of a home. London raises just 55% from council tax. The rest comes from stamp duty paid only when a home changes hands. I have written before about how prohibitive this is at the top end of the market. A typical London terrace now attracts a tax charge of between £50K and £100K. This is a big disincentive to move home. The Economist reckons it reduces transactions by somewhere between 8% and 20%, which in turn stops people moving to take better jobs. But London’s tax is more progressive that New York’s. London now collects more than twice the rate on homes worth over £10M than on those worth less than £1M. In New York the cheapest homes pay the highest rates, and there are many property tax “abatements” of up to 95%. The newspaper would like to see stamp duty scrapped, and replaced by a higher council tax. This punishes “asset-rich, cash-poor” households – mostly elderly widows – so an option would be needed to defer some or all of the tax until they die or sell their house. I’ll take the first half of their plan, but the idea of my local council5 squandering any more of my money is too much. Property taxes of 0.5% pa are more than enough.